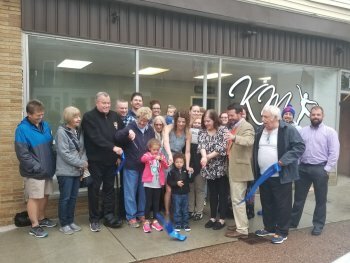 The Wyoming County Chamber and Tourism was pleased to host a ribbon cutting ceremony to celebrate the grand opening of the KM Dance Center with new business owner Kaeleigh Carmichael, on Monday, October 1, 2018 at the business located at 12 North Main Street, Perry, NY 14530. KM Dance Center specializes offer both recreative and competitive classes which include tap, jazz, hip-hop, ballet, lyrical, cheer and musical theater dance styles. Classes are open to students age 3 and up in group and private lesson settings. For class information follow KM Dance Center on Facebook and Instagram or call the business at 585-245-1569. 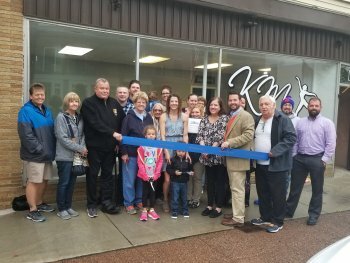 Before taking over the business, Kaeleigh Carmichael served three years as manager and instructor at the location and took over the business on July 1, 2018, officially opening on September 10, 2018. She is both the business owner and dance instructor. Kaeleigh has been dancing since she was a very young girl and studied dance at SUNY Brockport earning a bachelors degree in Childhood Education. She has performed with several professional dance and cheer teams including as a Buffalo Jill with the Buffalo Bills; Rochester Rhinos; Rochester Razor Sharks; and Rochester Rattlers.